Alla Prima update, more details on painting daffodils, and modern abstract art. 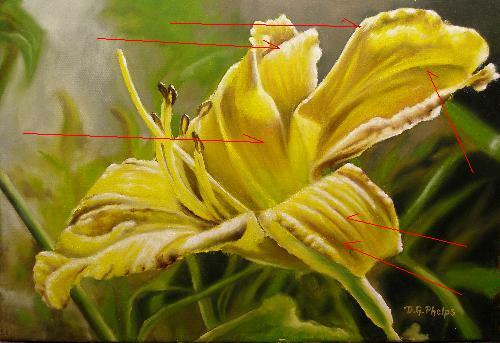 * How to paint a Daffodil, details. In this demonstration, I've picked apart the painting and given some insight into how to break this very complex blossom into bite sized portions that are easy to follow. 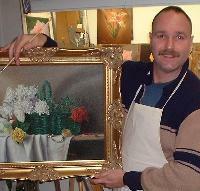 Learning to paint this blossom will help you be able to paint the full vase! You can get to the full demo from the "Flower Painting" navigation button, or click on the links below! 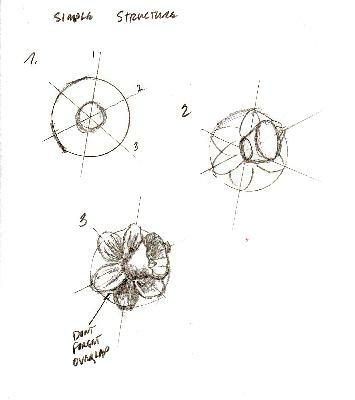 How to paint the daffodil, a step by step approach. This article explores modern/abstract art's start, and some things you didn't probably know happened behind the scene! As time goes on, we will explore the many methods used today to create it using oil paint techniques. You can find this full article under the "Short Art History" button on the Nav bar or click the links below for both articles. Modern Abstract art, and how you can produce it! This article talks about what boosted this genre of art to be one of our favorite! Though the idea was to hurt the U.S. Government, it brought into play a really free thinking environment for us Artists! And opened the door to an expression of free speech that hasn't seen better days! Click the link to discover more. What fueled the fire to super boost Modern Abstract art! OK, lets talk a little about this section of the site. We have had a few submissions of some really great art, but with little or no content. Because of that, I can't post them. Well, seeing a great painting only peaks our interest. What process was used? What size is the canvas or support you used for the work? Why did the subject matter stir you to paint it? When did you have time to work on it? Where did the painting take place? An art class? Your kitchen studio? Answering these questions will help us to understand the whole picture that surrounds a piece of art. The software on the site allows you to add several photo's at once, so use them! Even include pictures of you and your studio if you wish. I can't tell you how enjoyable it is as an artist to see how others apply their craft and how their work space is set up. So don't be bashful, let us explore your art in a more personable way. Explain your art to help us understand what went behind it's creation! On another subject, my web guru says I need to change some things up a bit. I've gotten some great responses from those using the technique, and these were usually in the form of emails, etc. I'd like to expand this area. Have you used the technique? As explained within the E-book or DVD? Would you like to share your success with others? I can't pay you for your testimonial. It truly has to come from your heart. If you are excited about your results, send me an email with a few pictures of your and your art. I'll add them to my campaign to spread the word on how these oil painting techniques can transform the worlds art! I also take advice! Revisions to the site and e-book/DVD have come from folks like you. I've got thick skin (if you're an artist, it is a necessity) so don't hold back. If there is a need for improvement someplace, feel free to let me know.